Sturgis Finishing offers the industry’s most complete line of mass finishing supplies. From ceramic, steel and plastic medias, powdered and liquid compounds, to dry finishing medias such as treated cob meal and walnut shells. Sturgis Finishing offers a free process sampling in our fully stocked lab in Sturgis, Michigan. Send us your parts, we will process them in our lab and send back the finished parts, along with a detailed written test report. You can then compare your current process with Sturgis Finishing’s recommended equipment, media and compounds. Let Sturgis Finishing assist you with the best possible processing solutions at the most economical price. 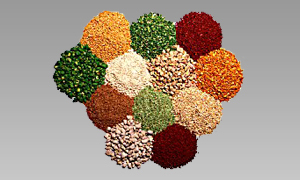 We offer the industry’s most complete line of mass finishing supplies from ceramic, steel and plastic medias, powdered and liquid compounds, to dry finishing medias such as treated cob meal and walnut shells. 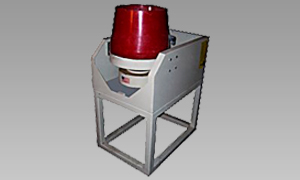 We offer both vibratory bowl and tub series finishers. 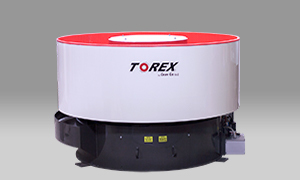 Our line of vibratory finishers can be ordered with our oil or grease drive systems and can accommodate several optional accessories. 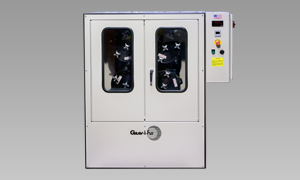 The Graviflo Rapid Finish Machines feature solid, heavy duty construction which eliminates disc deflection and ensures that a non-contact seal gap is maintained. The Gravi-i-Flo® Gyra Finish Machines consists of a rotating turret on which four hexagonal barrels are mounted. As the turret rotates, the barrels turn in the opposite direction. This unique motion develops strong centrifugal force in each barrel, resulting in an extremely high rate of work, due to the “weight increase” of the tumbling mass. To find out more about our complete line of media, finishing compounds and equipment, please contact us by phone at 800-521-5793 or by email at info@sturgisfinishing.com.